When it comes to Lucasfilm, they have a knack for listening to the fans. 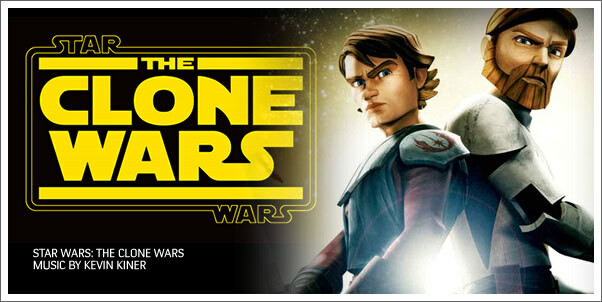 Whether or not they actually give fans what they want is another story, but since the beginning of the television series, fans have been clamoring for the official series soundtrack for Star Wars: The Clone Wars, and after almost six years, we've finally gotten it...mostly. Through the magic of technology, you can now download 58 tracks from the series directly from KevinKiner.com. Obviously there are more than 58 tracks throughout the entire series, but this is perhaps the closest we are going to get to a full official soundtrack. However, much like the show, it took a while for the music to settle, and by the end of the series, Kiner was creating pieces that were damn near movie quality and made you follow believe that you were watching a Star Wars story. Check out the final televised scene of the series and prepare to have your heartstrings tugged at. You crying yet? Well lucky for you, the music in this final scene is included in the tracks released.